As discussed in our previous In Transition blog posts, the maritime industry is exploring hydrogen fuel cell power as a potential zero-emissions solution to replace diesel-powered vessels at sea, as well as for use replacing diesel-powered equipment operating around the port, such as freight loaders. However, docked ships also contribute greatly to greenhouse gas emissions at ports by using auxiliary diesel power systems. In recent years, the Port of Los Angeles has promoted the development of Alternative Maritime Power (AMP) systems, which the Port defines as shore power that allows ships at berth to run lighting, heating, refrigeration and other vital onboard systems on clean electricity. Just as zero-emission hydrogen fuel cells can replace greenhouse gas-emitting power sources for ships at sea, they can also serve as an excellent AMP source to keep ship operations on shore green. A June 2013 study from Sandia National Laboratories found that hydrogen fuel cells may be both technically feasible and commercially attractive as a clean, quiet and efficient power source for ships at berth. Below are some recent efforts to deploy hydrogen fuel cells for shore power. In August 2015, Sandia National Laboratories launched its Maritime Hydrogen Fuel Cell Project to assess the feasibility of hydrogen fuel cells for maritime auxiliary power applications in real-world port conditions. The project consisted of a six-month deployment hosted by Young Brothers Ltd., a subsidiary of Foss Maritime Co., at its facility in the Honolulu Harbor. The 100-kilowatt hydrogen fuel cell unit – built by FCHEA member Hydrogenics – replaced a diesel generator that Young Brothers used to provide power for refrigerated containers on land and on transport barges. Sandia released its final report on the project in May of 2018. The assessment concluded that it is possible to increase energy efficiency by up to 30% at part load and reduce emissions to zero by using hydrogen fuel cells. In addition, the report identified paths forward to wider adoption of the technology in this sector. ABB (ASEA Brown Boveri) and Ballard Power Systems announced a collaboration in July of 2018 to build zero-emission fuel cell modules for marine power. ABB plans to produce its first fuel cell module by 2020. According to the collaboration, when completed, the modules can potentially offer a lower-cost solution to a port’s shore power investment by incorporating the clean energy solution directly on the ship. This avoids the expense of building a shore side power system costing millions of dollars and requiring shipowners to pay for reconfiguring ship engine rooms to include the shipboard connection. This also saves the shipowner the cost of buying electricity from the grid. In addition to powering on-board electronics and other necessities while the ship is docked, fuel cells are also playing an increasing role in making sure critical services in the port and other maritime facilities are operating smoothly. 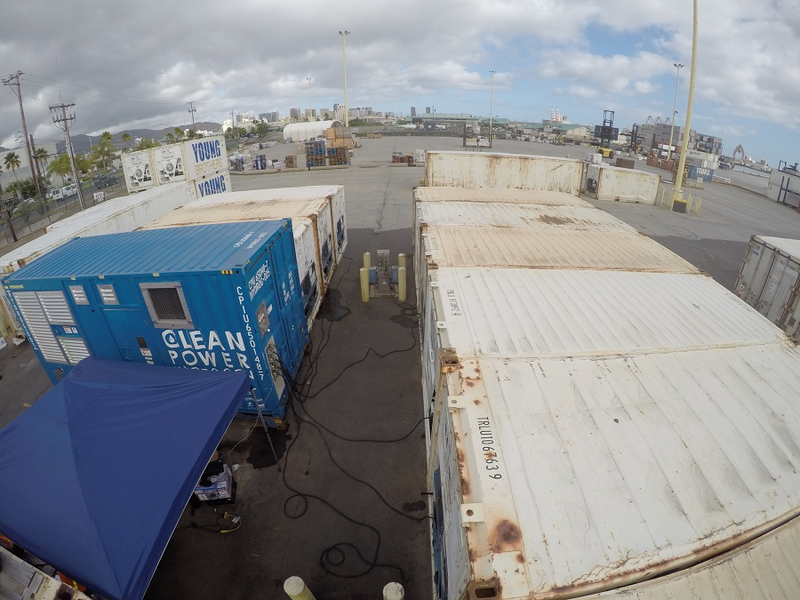 At a busy port, fuel cells can provide grid-independent power and backup power, security services that require 24/7 power, communications systems, closed-circuit video cameras, logistics centers, warehouses, buildings, guard gates, and other critical functions. On a larger scale, FCHEA member FuelCell Energy broke ground this summer on a 7.4 megawatt fuel cell power plant to supply electricity for the United States Navy’s Submarine Base in Groton, Connecticut. According to Captain Paul Whitescarver, Commanding Officer of Naval Submarine Base New London, the molten carbonate fuel cell installation will ensure that the base and its fifteen homeported attack submarines can achieve energy reliability and energy security, rather than relying on electricity generated by the local municipal grid. From onboard modules that power ships at berth, to containerized systems that can keep refrigerated container units running while docked at shore, to stationary installations that will help power the east coast’s largest submarine base, fuel cells and hydrogen technology are proving their worth for clean, onshore power applications.